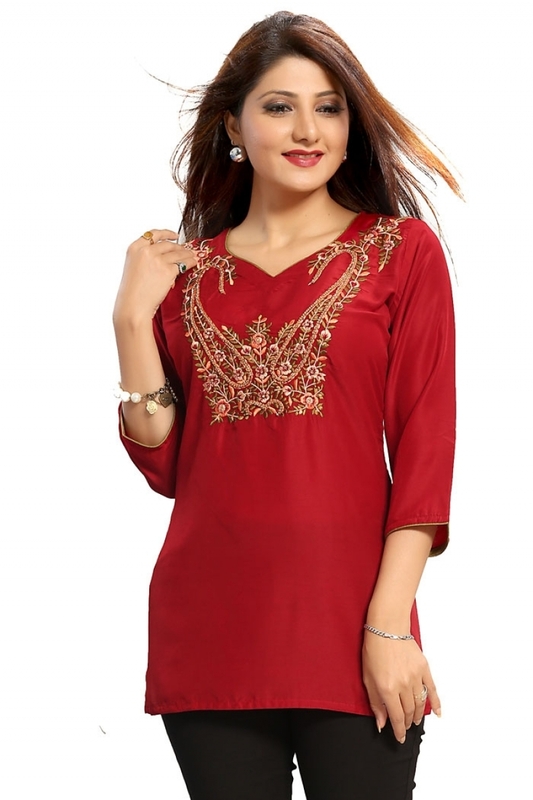 I am an online tunics seller. I buy my product from some companies in India and the company itself do online retail like me. I want to sell my products in the US. I don't want my customers to know from where i am buying my products.. Especially not through my product picture. I added watermarks, change the background and tried to search my product image in google, but i can see the manufacturer as well as other sellers selling the same product with the same image. I completely understand that its almost impossible to hide those manufacturers, but my question is can I make my image more secured, so customers can't search other online sellers who is selling the same product like mine, through my product image. I have added one of my pictures below. I have 1000 more pictures too. If you are using the same image online the manufacturer is using online you can't obfuscate that fact. The connection will be discovered if someone wishes to look hard enough. In addition, if you are trying to alter the image to be different than the manufacturer's image but the actual product is the same, you would be showing images which are not representative of the items you are selling. That may present legal issues due to misrepresentation. Ultimately, I do not think this is a graphic design question. It's a business management question. Flip the image horizontally. It makes the human pose totally different, but LR-symmetric suit stays intact. Google analyzes posing and secondarily the clothing details. If anybody other hasn't already done the flipping, the image vanishes from searches. Unfortunately flipping the posing can have some meanings that your customers see, but western males like me cannot see. Check that before. Make your own product images. The manufacturer offers you to use these 1000 product images for free (apparently). That is quite a gift for you since it would be relatively expensive to make 1000 new product images. The downside is that there always will be a connection to the manufacturer. Too bad. The simplest way to appear original to your customers is to actually be original. But that costs money. Not the answer you're looking for? Browse other questions tagged adobe-photoshop print-design photoshop-effects photo-editing or ask your own question. How can I remove the background reflection from this photo, are there any online tools? How do I make this image in image effect? How to gradually increase the pixel size of an image?